Dr. Rüegg Antoinette, Switzerland (Taskforce Chair) - bpw-leadershiplifelonglearnings Webseite! Antoinette Rüegg attained a degree in Biology. For twenty years, she taught biology at a Grammar School and held the post of Head of the Biology Department. She used her skills to focus on learning behavior and headed for 10 years the Committee ‘Learning Behaviors and Working techniques’ of the Swiss Office for In-service Training of Upper Secondary Teachers. In 1991 she established her own consultancy business. She made second studies in applied Psychology and specialized in Career Development, Leadership and Emotional Intelligence. 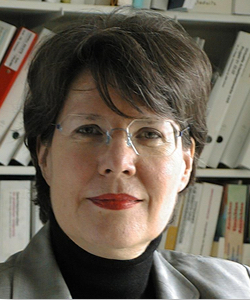 From 2007 – 2010 she conducted lectures on gender issues at the University of Fribourg, Switzerland. From 1995 to 1999 she was elected President of ‘Business & Professional Women Switzerland’ and from 2002 to 2005 of ‘Business and Professional Women International’.